Top row left: Woman from Rostock. Councilor and wife from Wismar in 1590. Man from Dithmarschen. 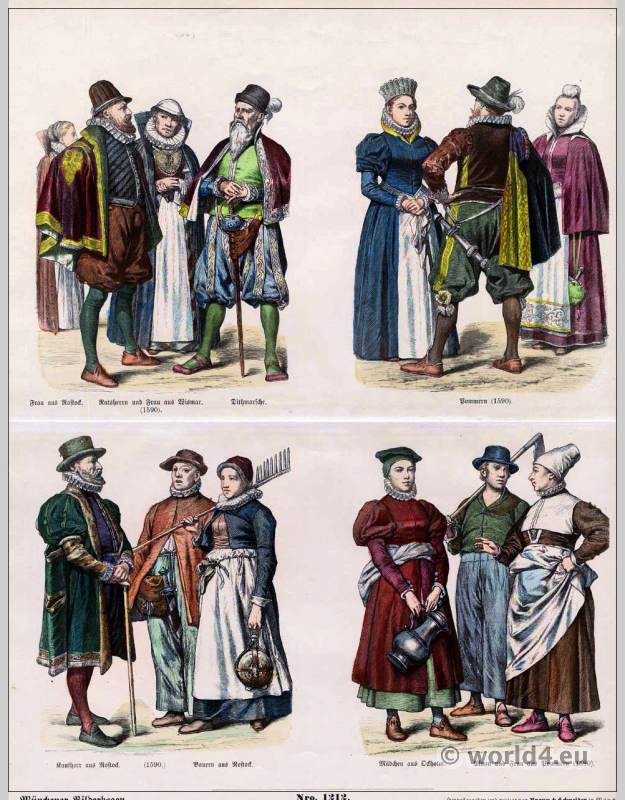 Right: Men and women in the costumes of Pomerania. Bottom row left: Merchant from Rostock in 1590. Farmers from Rostock. Girl from Odholm. Man and woman from Pomerania in 1590. This entry was posted in 1590, 16th Century, Germany, Middle Ages, Renaissance and tagged Medieval costume, Münchener Bilderbogen, Renaissance fashion era on 1/10/14 by world4.